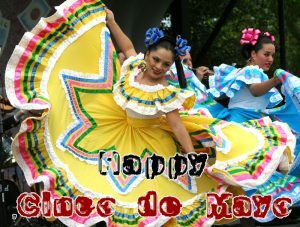 Cinco de Mayo is one of my favorite holidays. I get to celebrate two of the greatest things in the world: Mexicans and Mexican food. Even though this is actually an American holiday, I still like to celebrate it wherever I am in the world by writing poetry, drinking beer, and eating some delicious softshell tacos. Come on! Want to celebrate with me this year? is but only the fifth of May. leaving me with much gaiety.